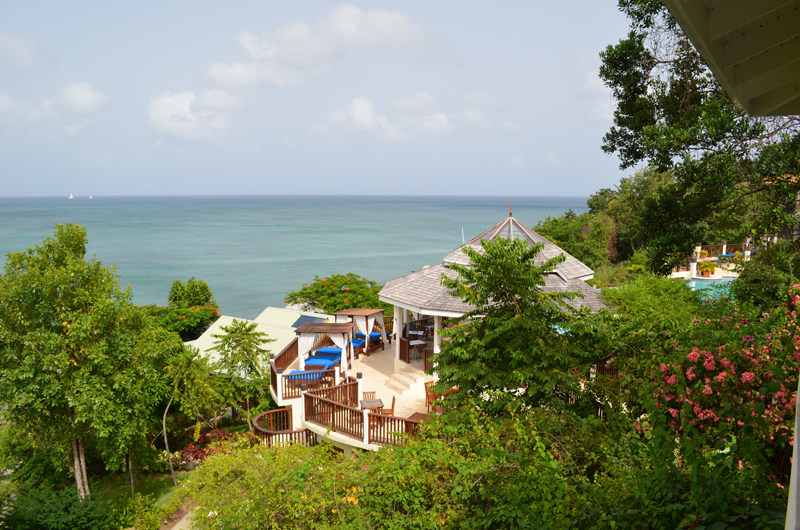 Tucked away on gently sloping, tropical beachfront on the northwest coast of the island, Calabash Cove is an upscale resort located in St. Lucia. 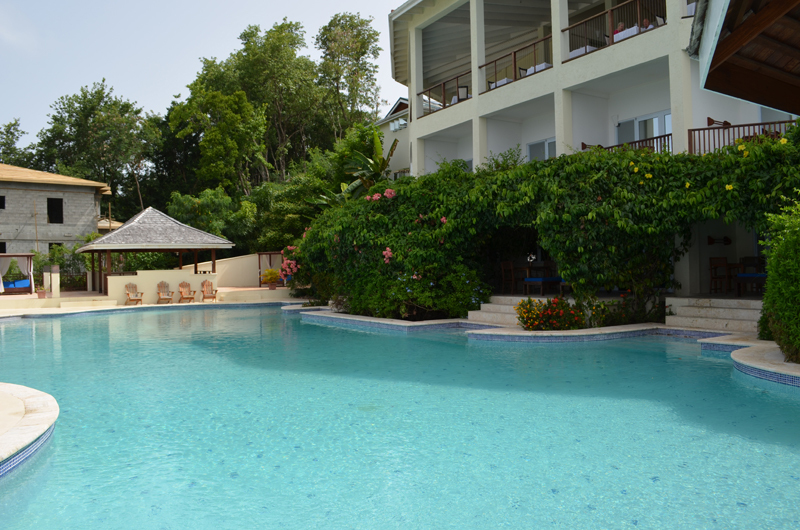 Nestled in the sheltered bay of Bonaire Estate, Calabash Cove is perched on a hillside sloping gently towards the Caribbean Sea, where cool ocean breezes provide a wonderful respite and the turquoise sea is offset by the vibrant green of tropical vegetation and views of Walcott Island. 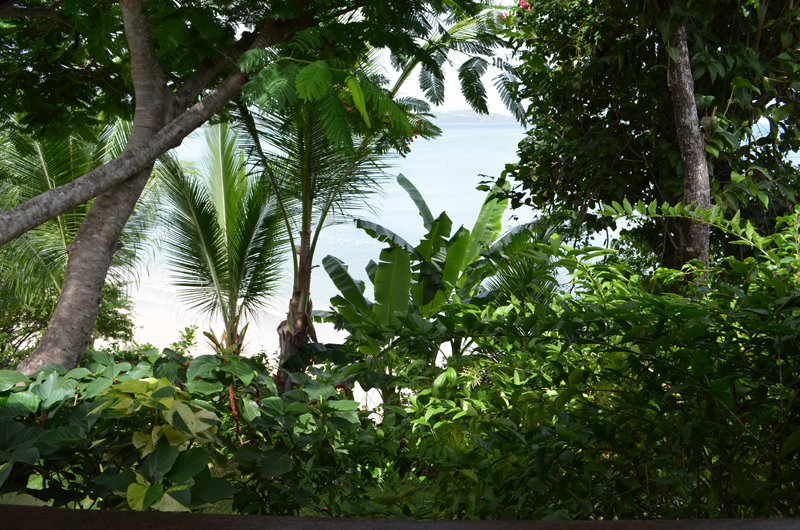 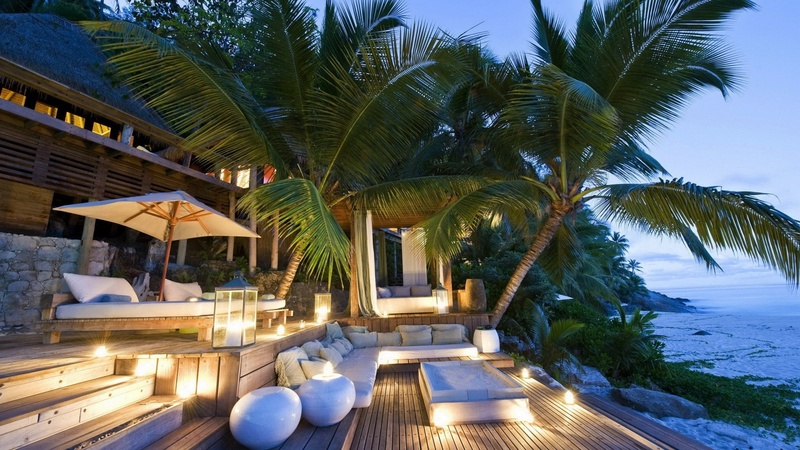 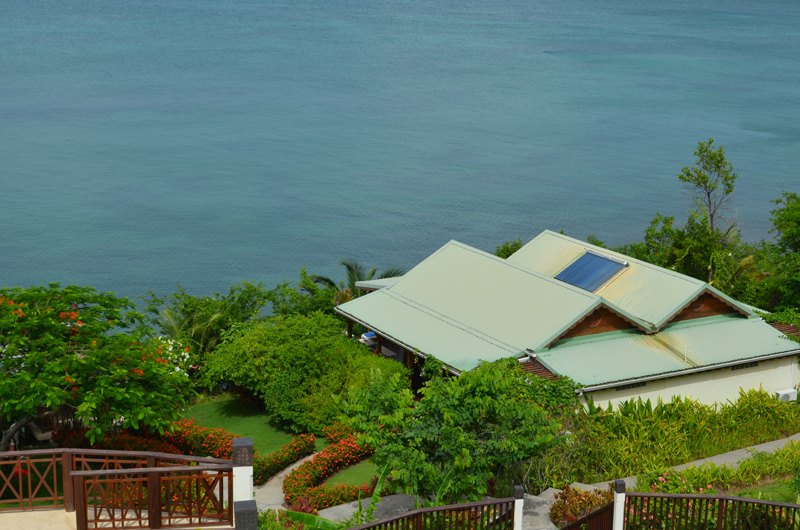 A private beach and nearby coral reef provide the perfect place to rest, reflect and dream. 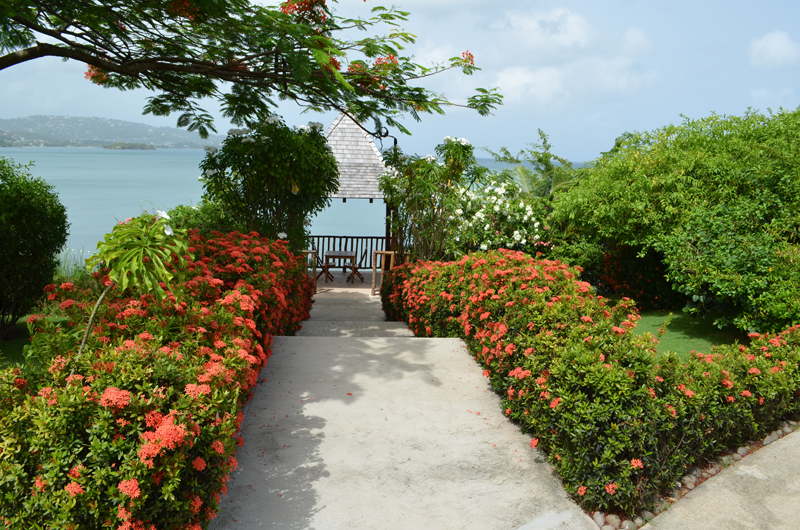 The resort has been designed with great care to compliment and exist in harmony with the beauty of the natural surroundings. 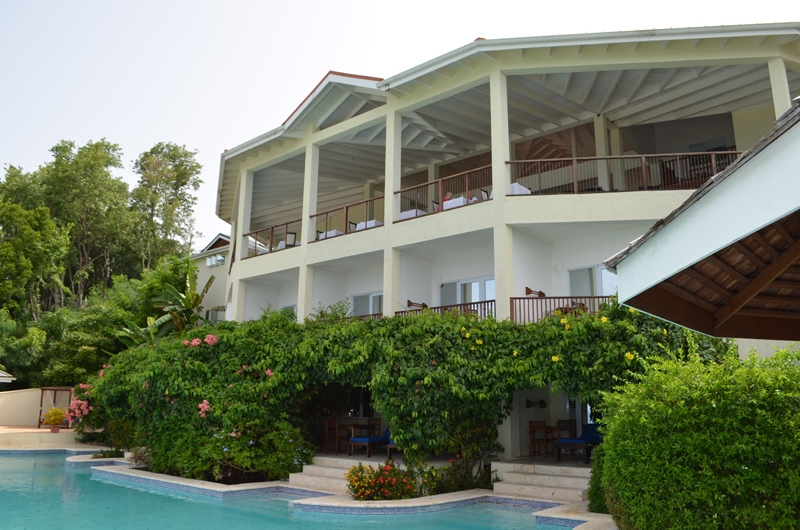 The main buildings of the hotel, such as the lobby, restaurant, bar, sanctuary, and infinity pool with waterfall lie on a slope, with the Villas in the midst of lush vegetation perfectly situated to view nightly sunsets. 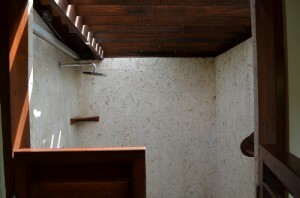 The natural elements of earth, wind, light and water are represented in the exotic wood, stone and natural materials used in the composition of the buildings. 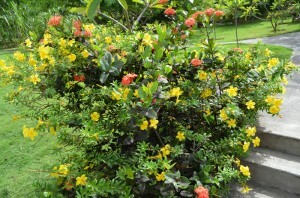 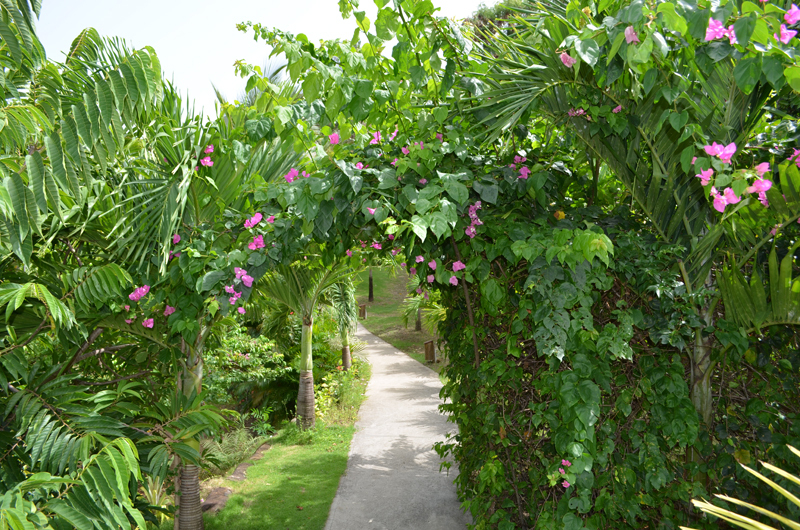 The peaceful and tranquil gardens, under the care of one of the finest landscape architects in the Caribbean, have been created to capture and optimize the natural splendor of the area and are filled with vibrant, fragrant flowers set amid groves of trees. 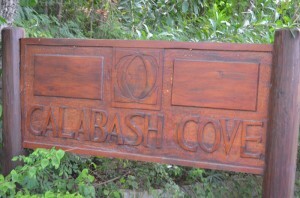 Calabash Cove's distinctive and elegant accommodations include Balinese-style Waters Edge Cottages, all with private pools, as well as a number of magnificent Manor House Suites-all with dramatic ocean and sunset views and some with private, poolside patios. 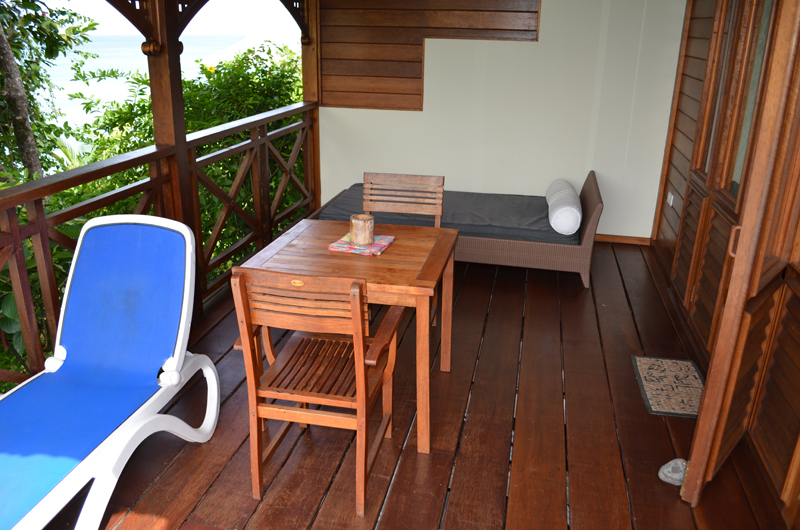 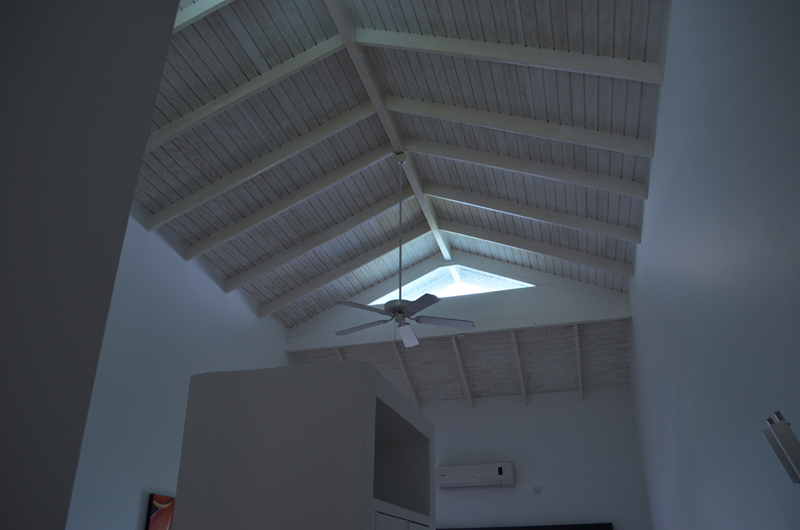 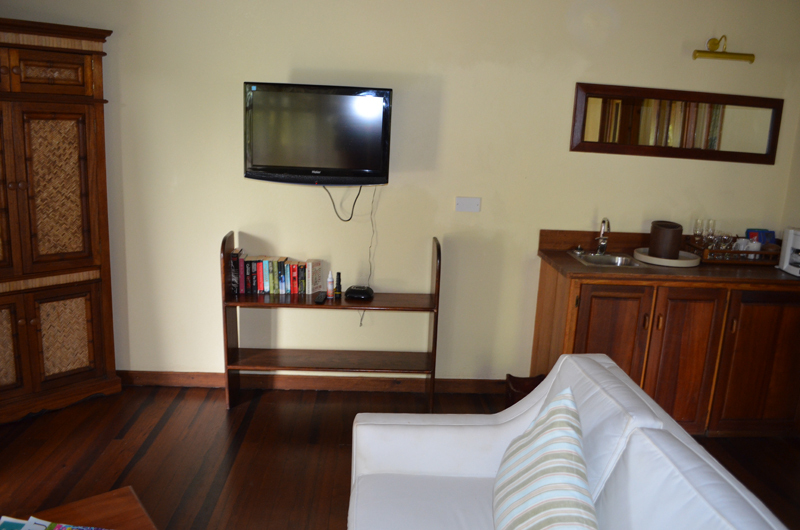 All rooms have king-size beds, Jacuzzis, showers, mini bars, large flat screen televisions, high speed internet access, air con- ditioning, telephone, and private balconies or patios with teak tables and chairs. 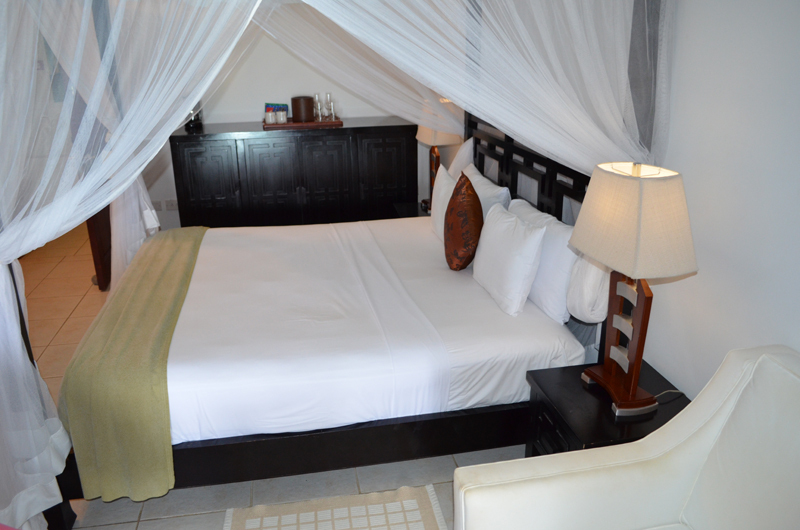 Most rooms have also a daybed, and the cottages include a hammock, an outdoor rain shower and a private pool for the ultimate luxury. 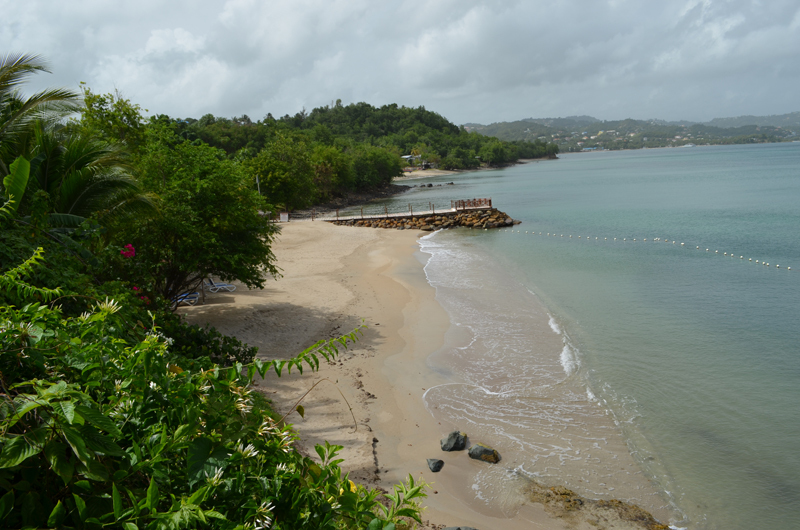 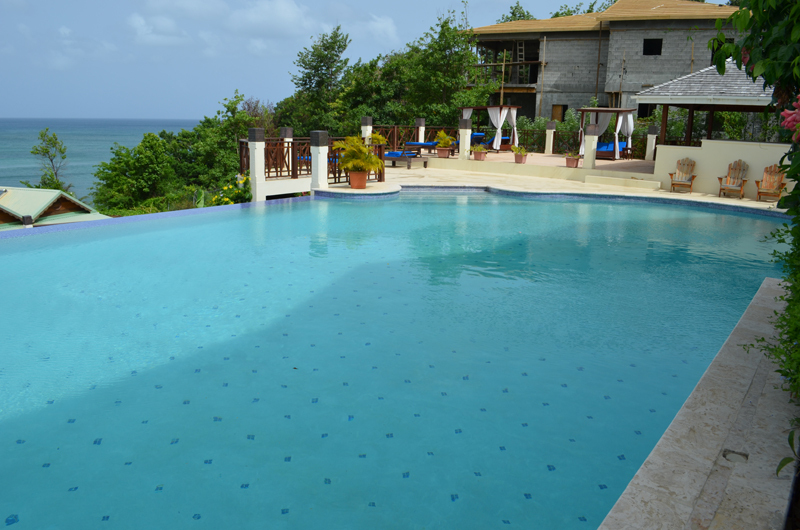 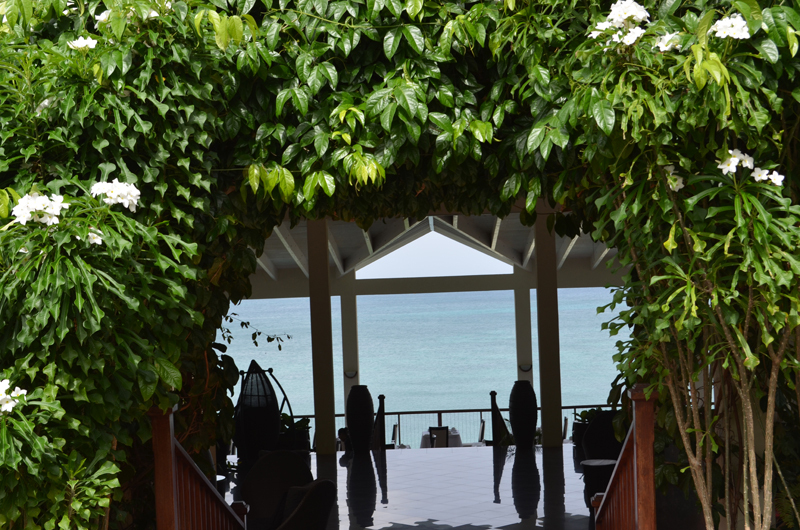 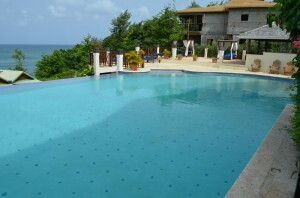 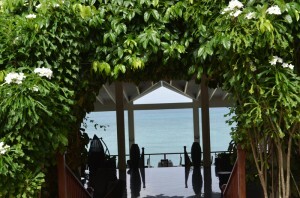 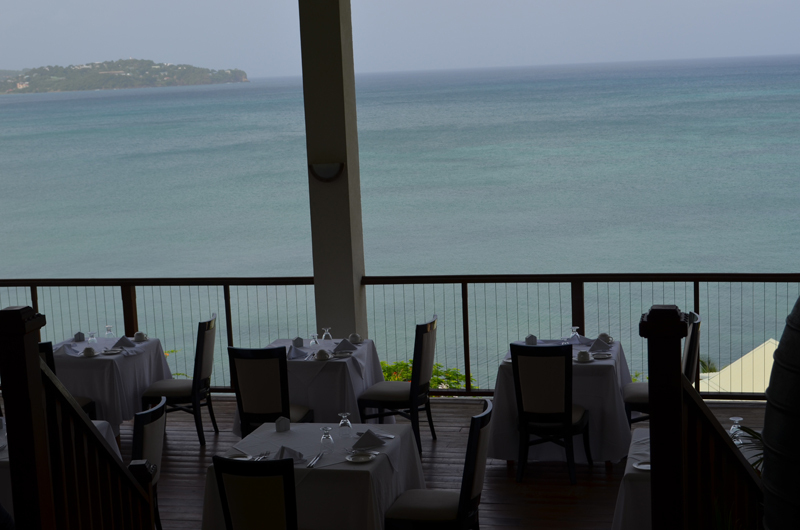 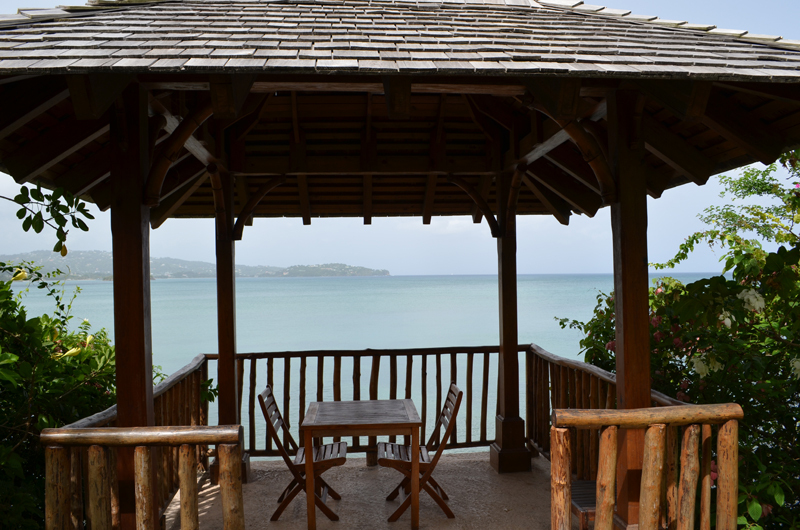 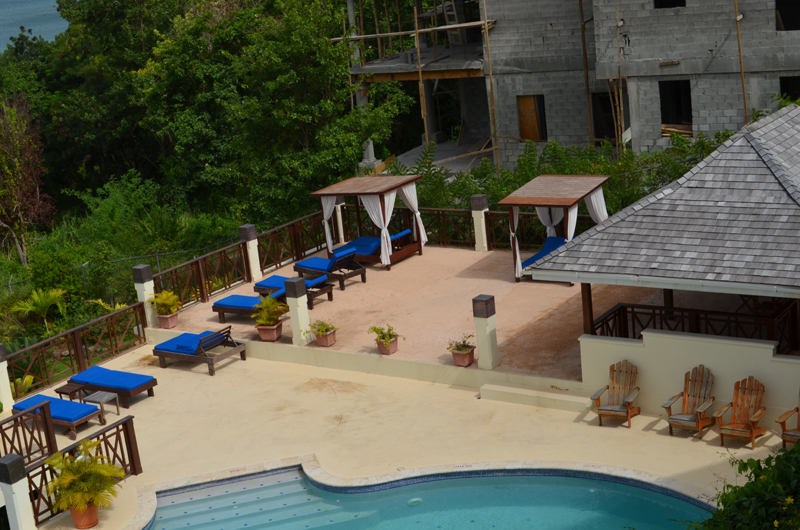 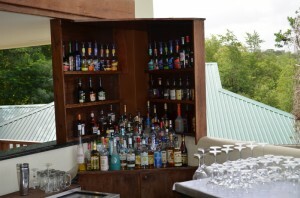 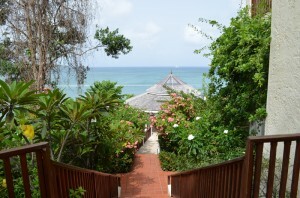 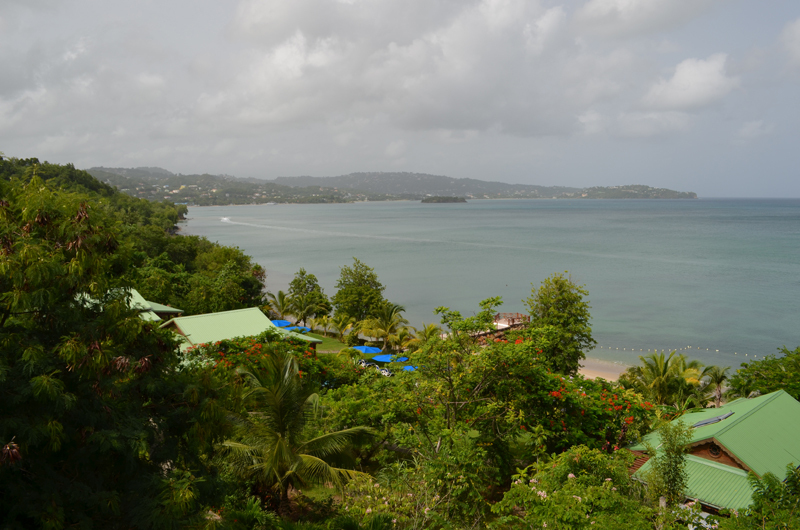 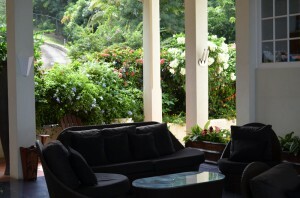 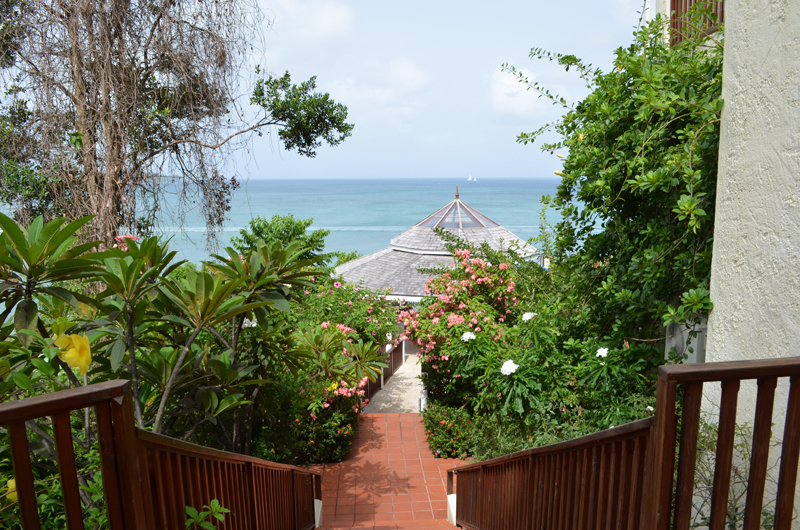 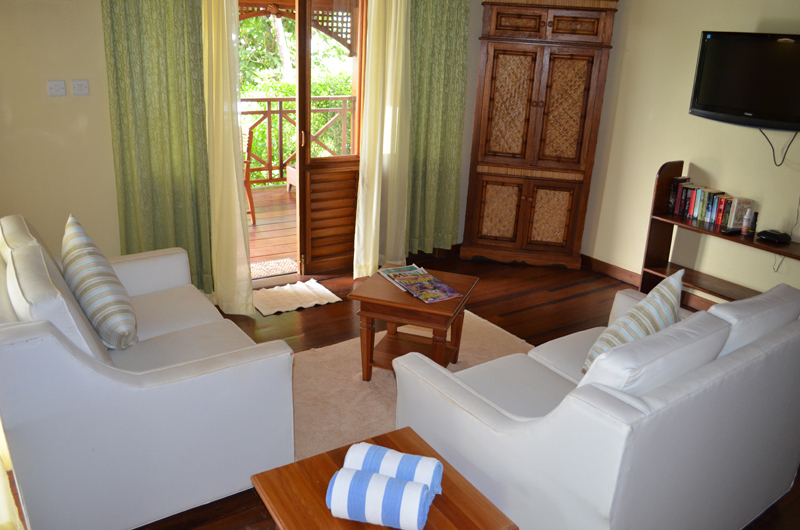 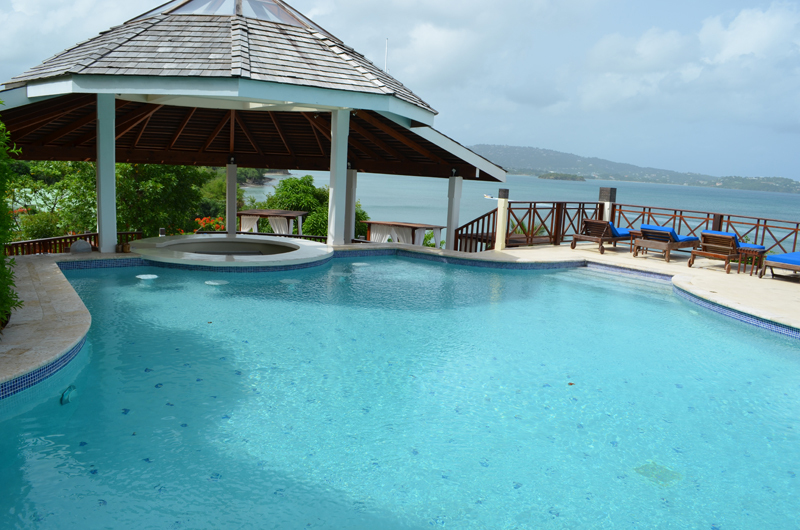 Calabash Cove is my favorite boutique resort in St Lucia. 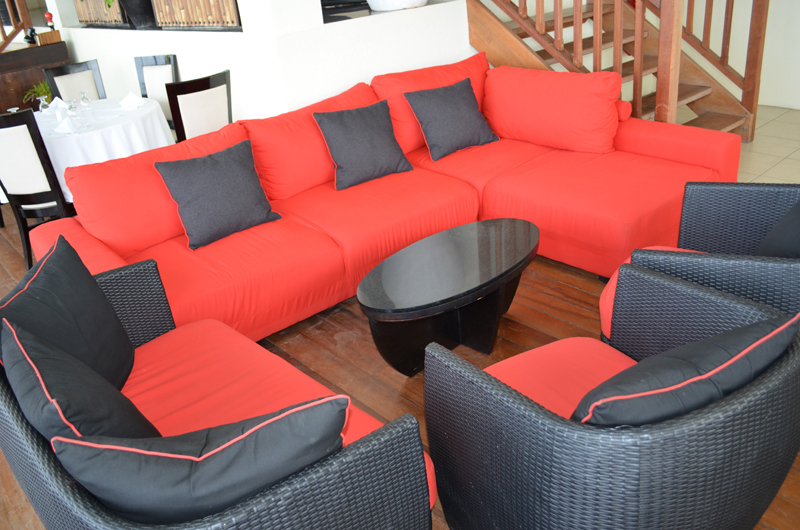 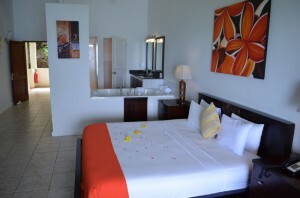 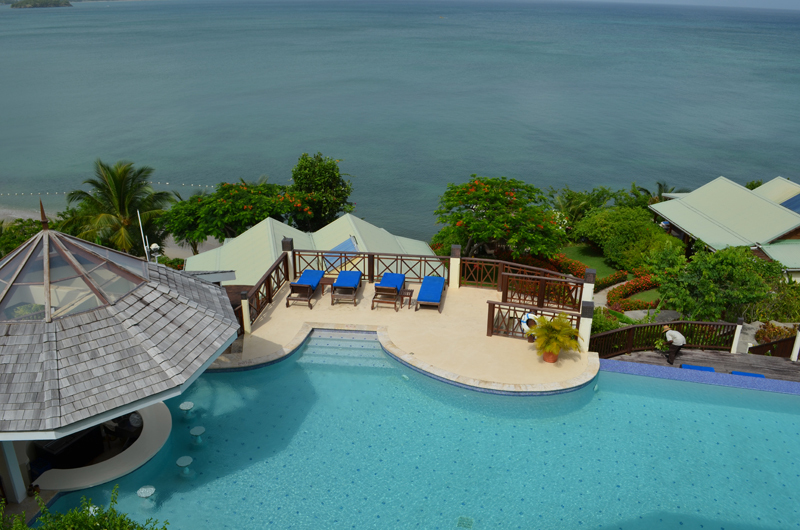 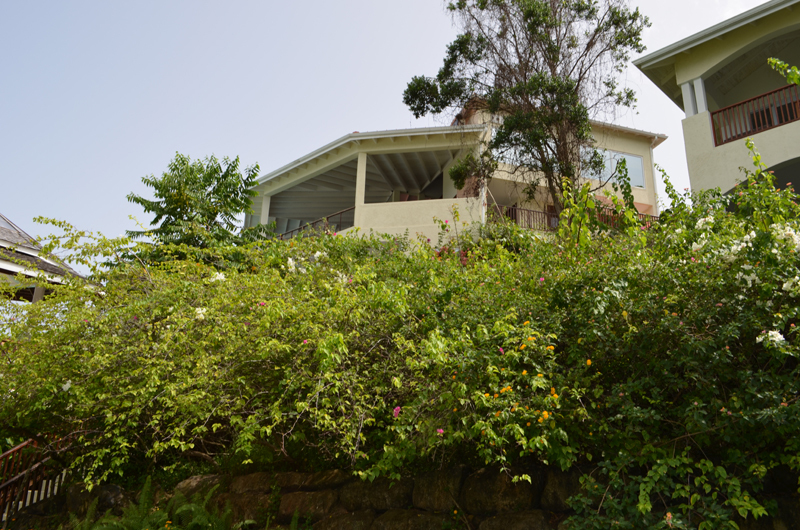 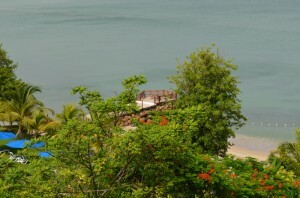 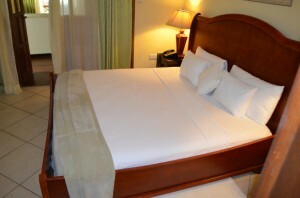 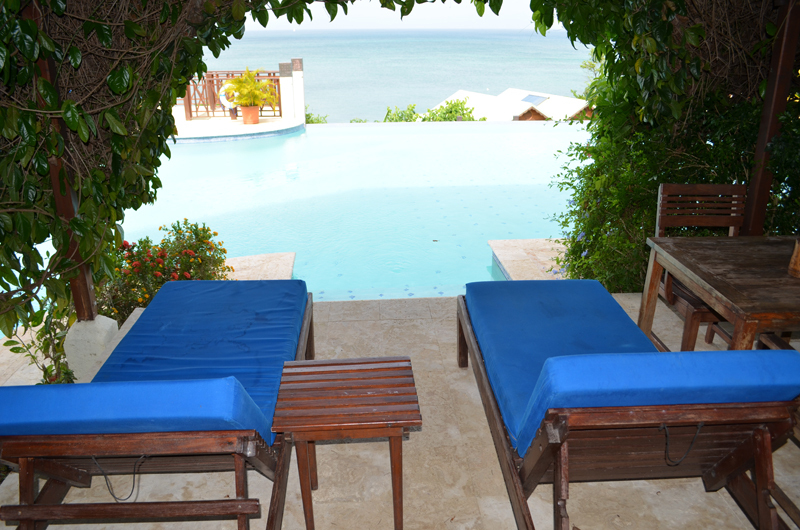 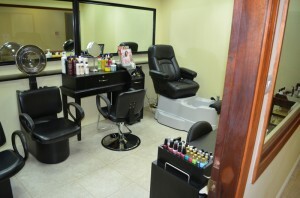 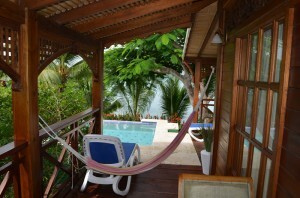 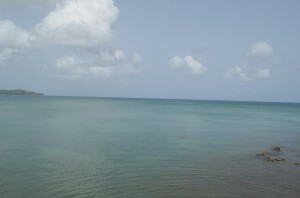 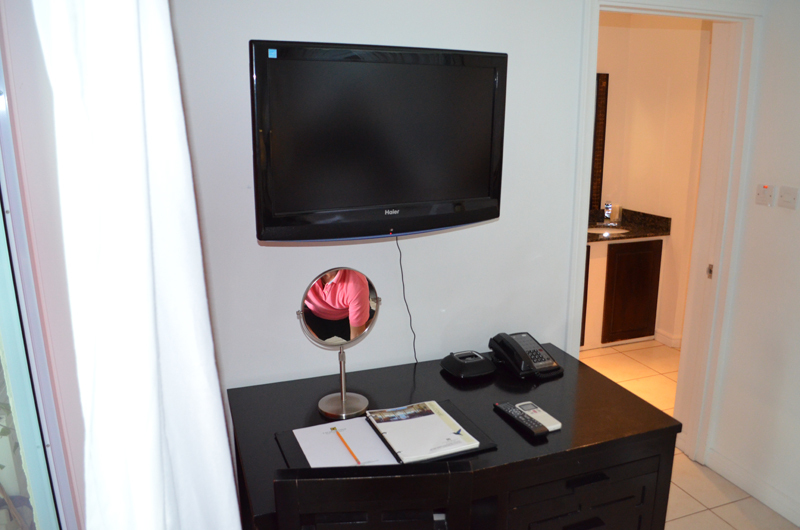 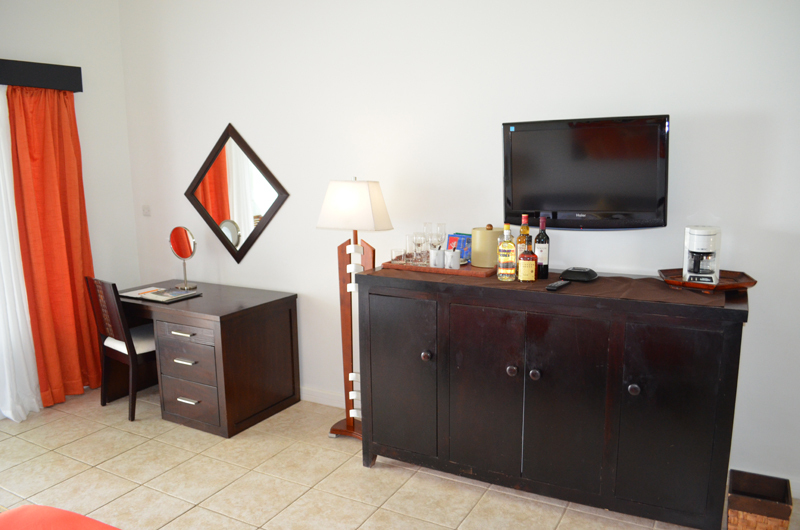 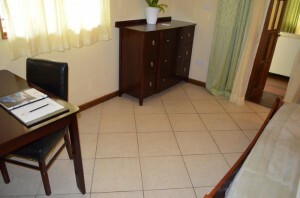 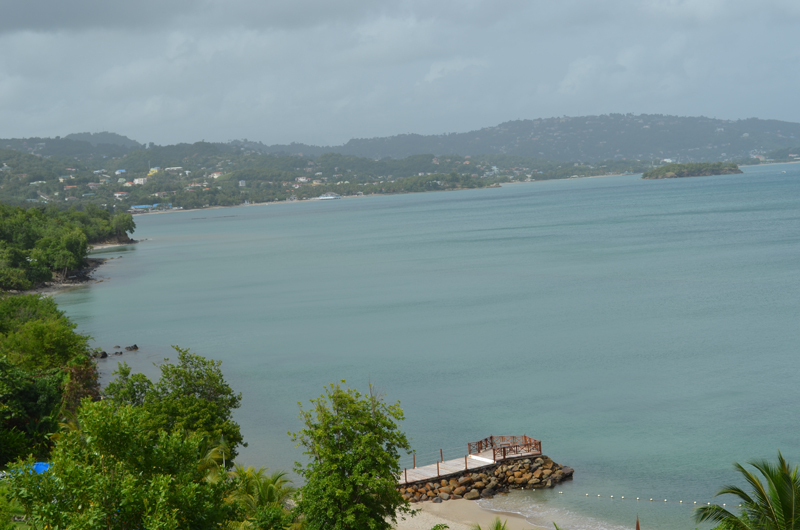 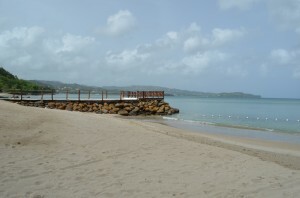 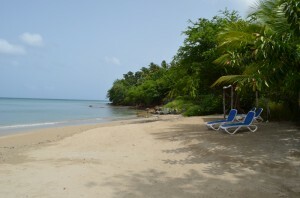 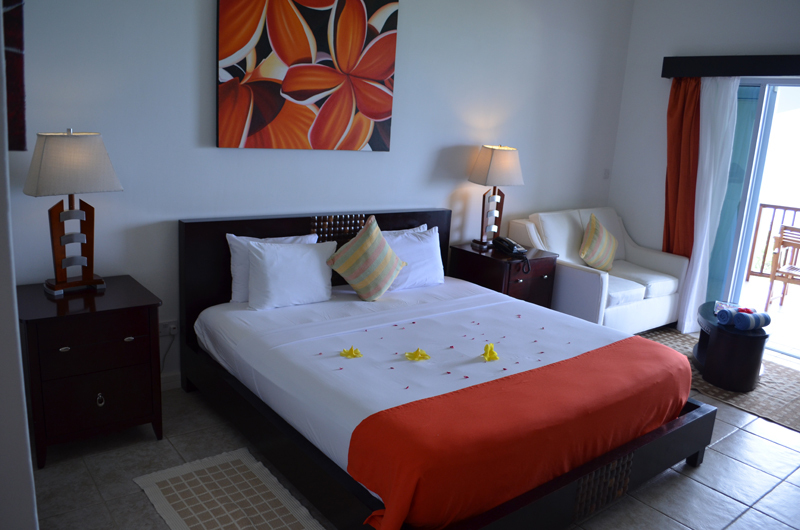 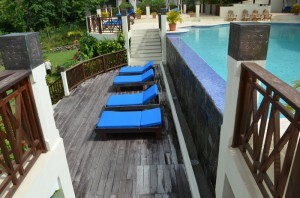 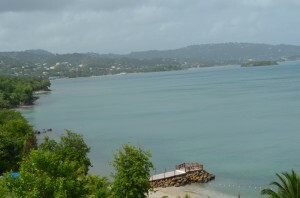 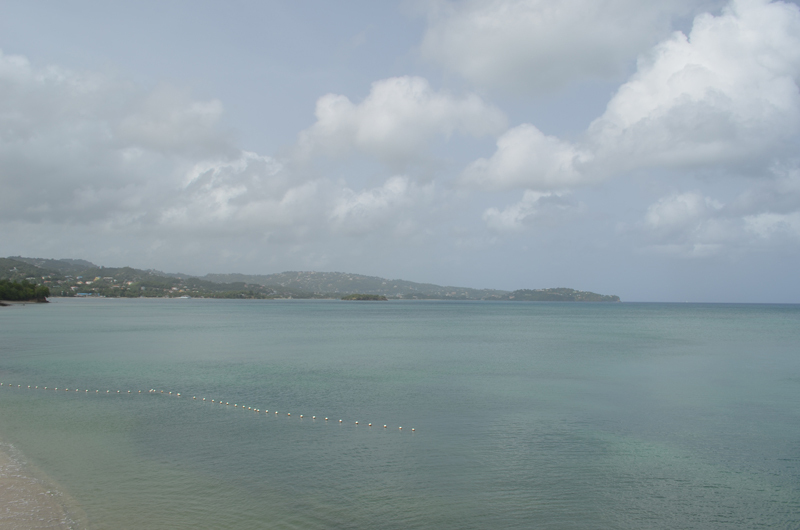 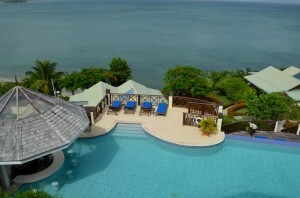 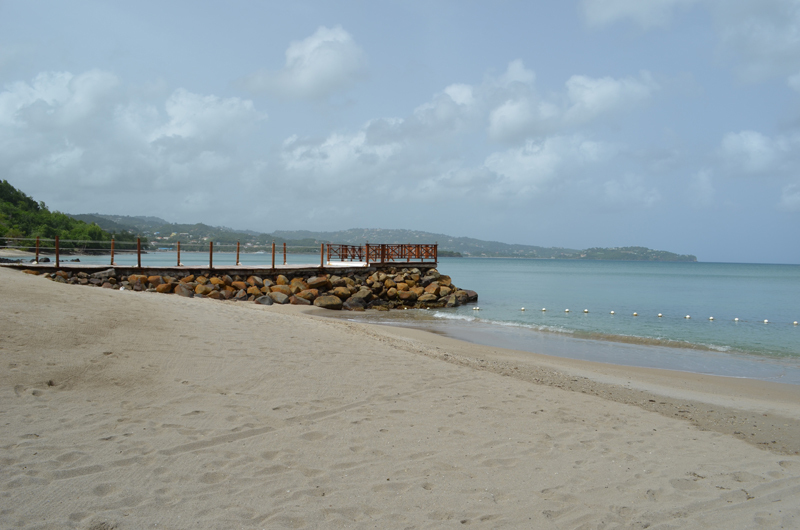 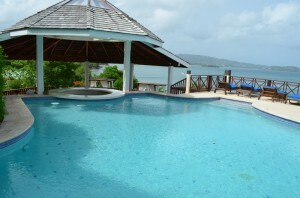 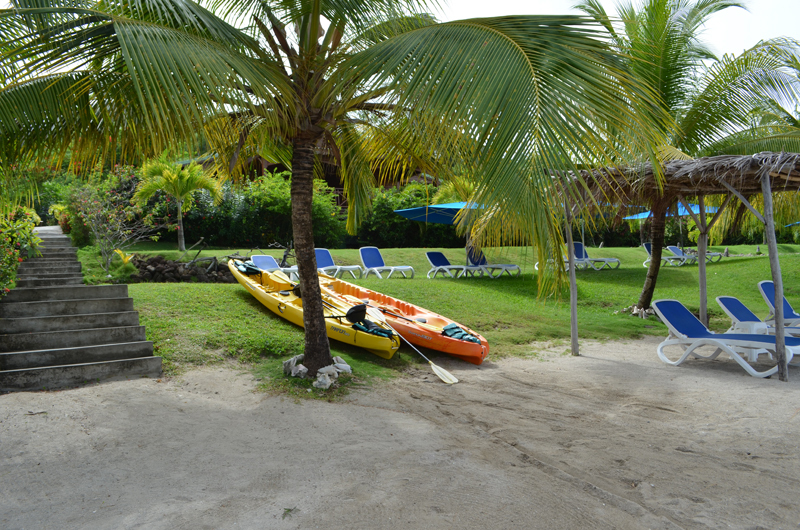 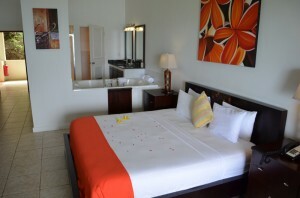 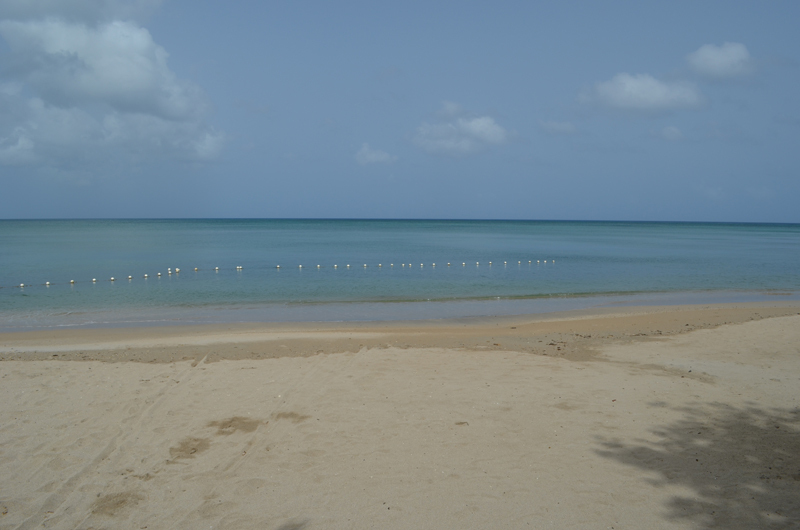 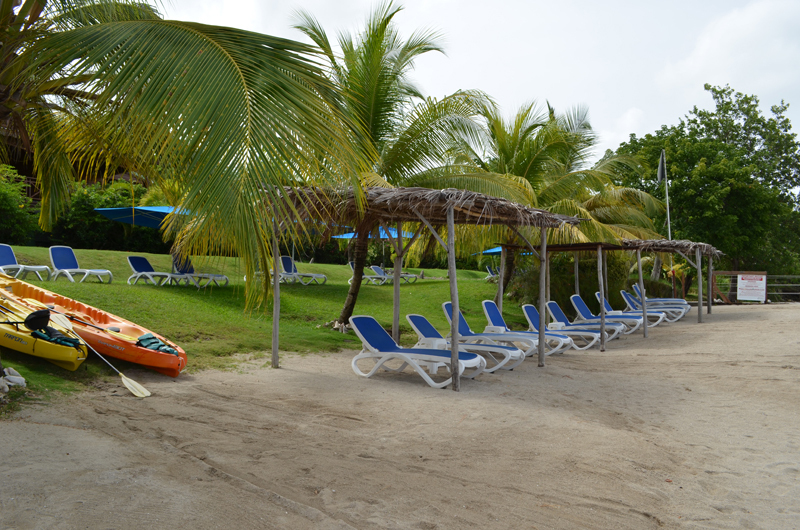 The 26 suite resort is located on the Northwest coast in the trendy Rodney Bay area. The views are magnificent and I could see the ocean before entering the lobby! 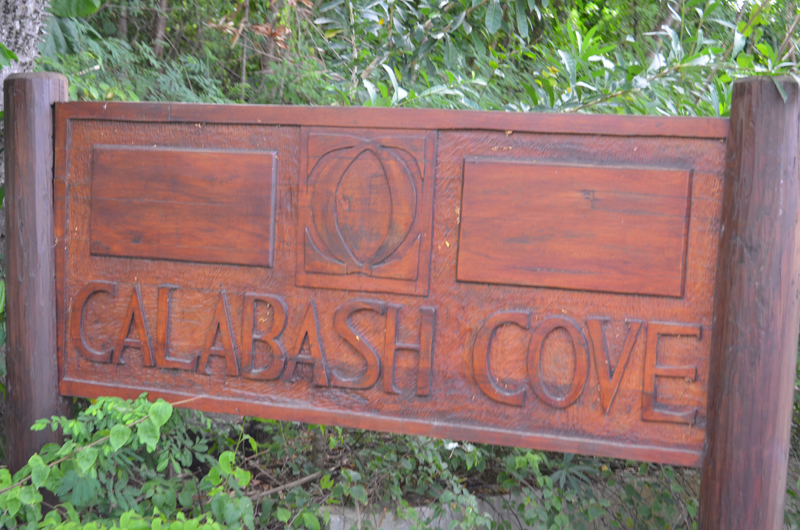 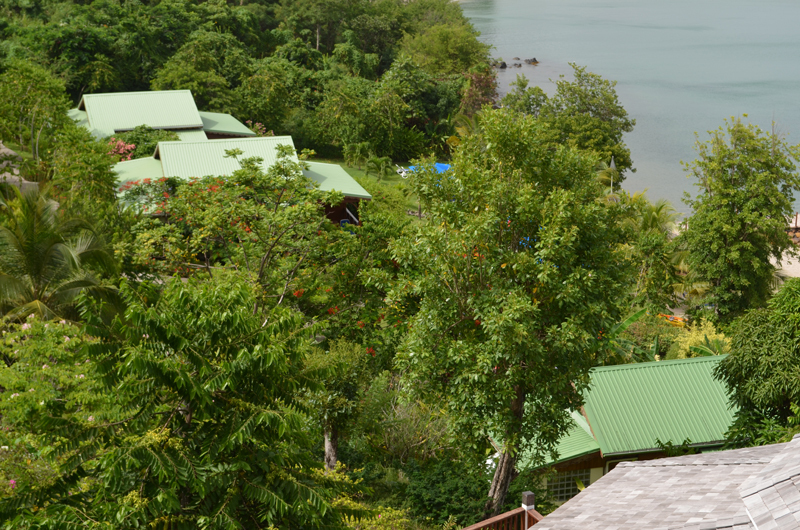 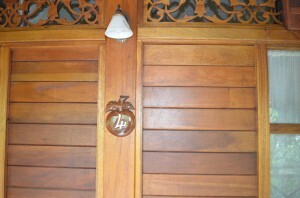 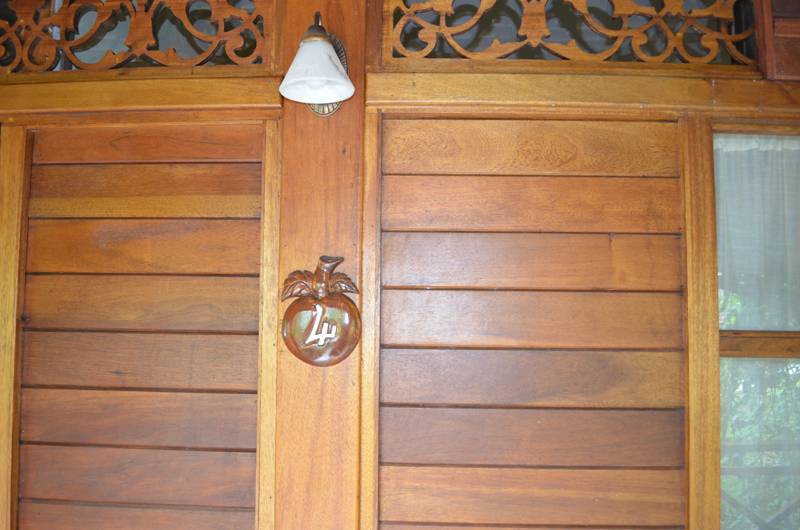 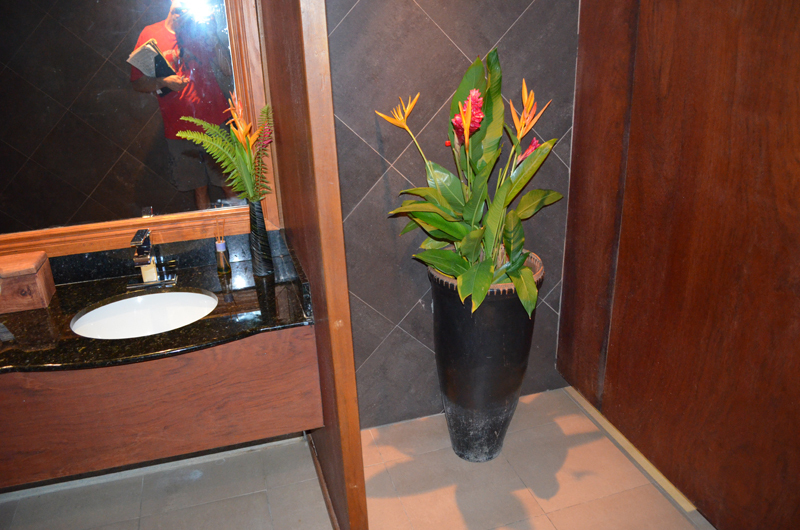 Although much of the resort was built using indigenous products, Calabash’s décor is considerable more modern than the uber-rustic look of Ti Kaye. 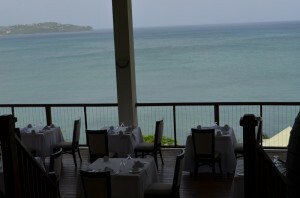 The views from the lobby are fabulous and the one restaurant has a rotating menu focused on farm to table principles. 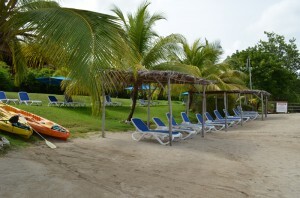 The resort offer a breakfast plan or an all-inclusive plan. I love the simplicity of the all-inclusive plan as there are no surcharges on the menu, they utilize all top shelf liquor, and there are 24 wines on the all-inclusive plan! Room service is included (with no delivery surcharge) as well as complimentary WIFI. 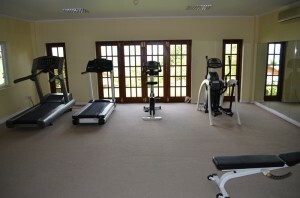 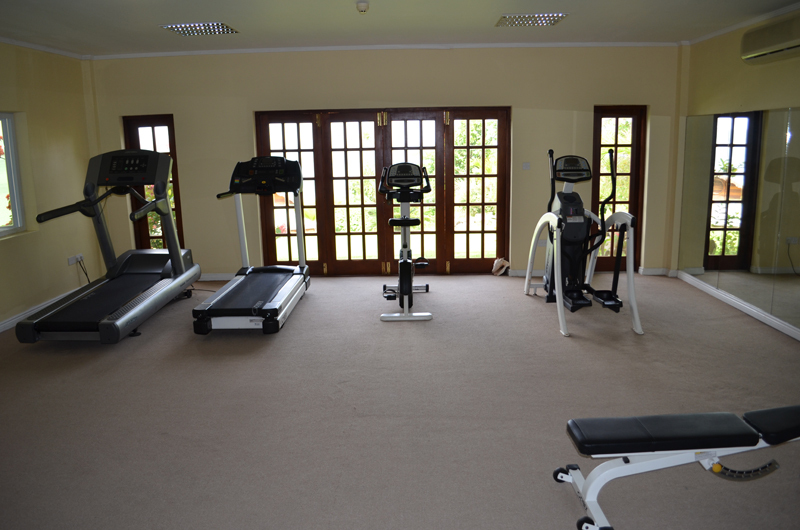 The spa and fitness center is small, but appropriately sized for the small resort. 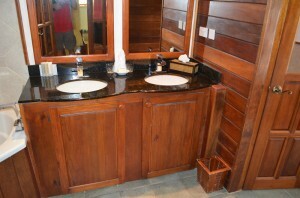 There are two spa cabins and the spa products are made fresh organically daily. 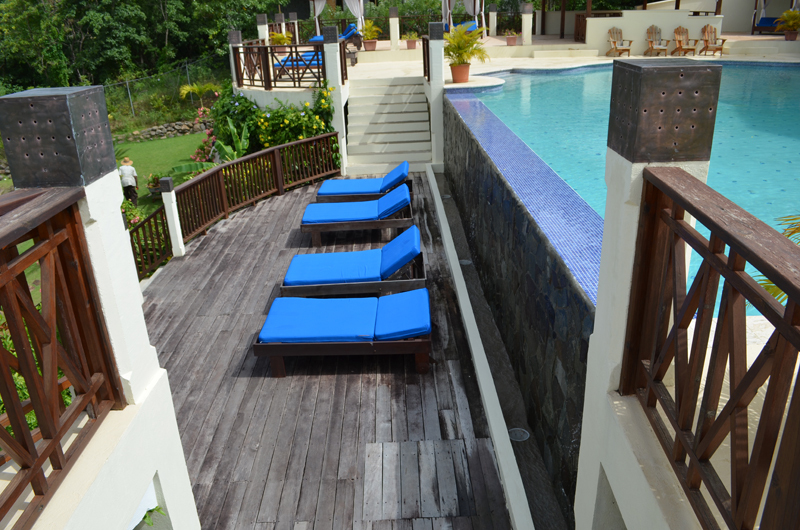 The resort is not adults only, but rooms limit occupancy to one child per room and they’ve only hosted 6 children this year (as of August 2013). 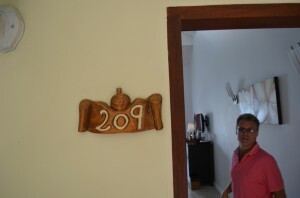 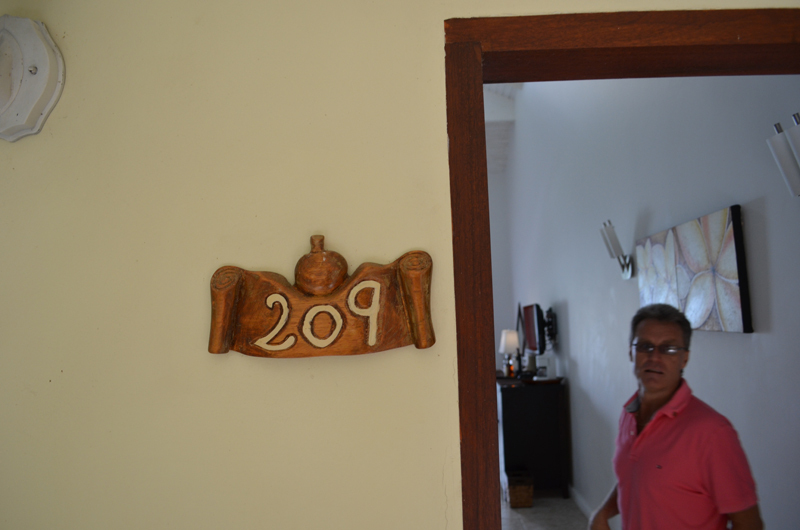 The 26 rooms are divided into three different room categories. 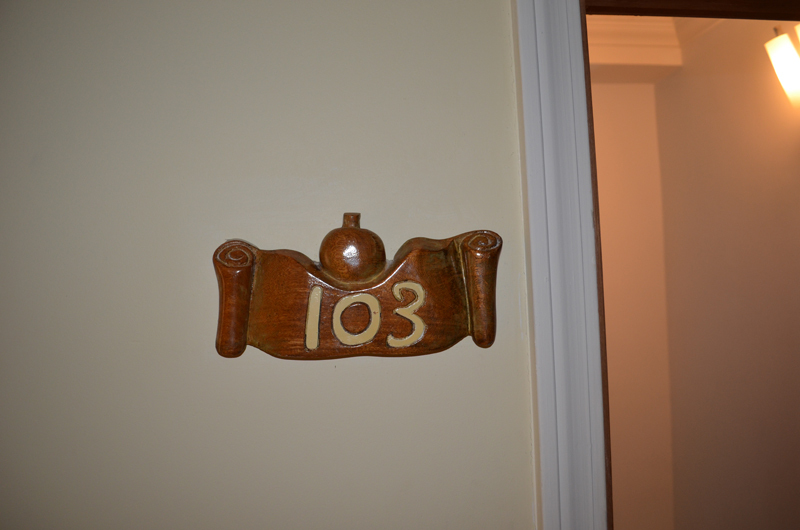 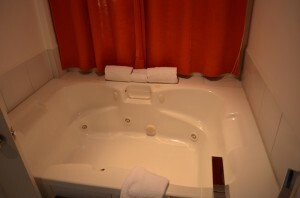 The lead in room is the Sunset Ocean view Junior Suite (13 total). 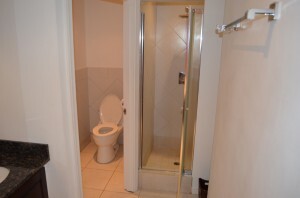 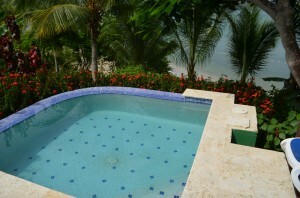 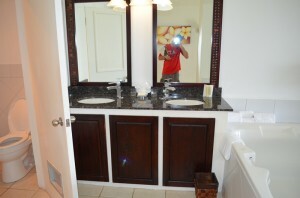 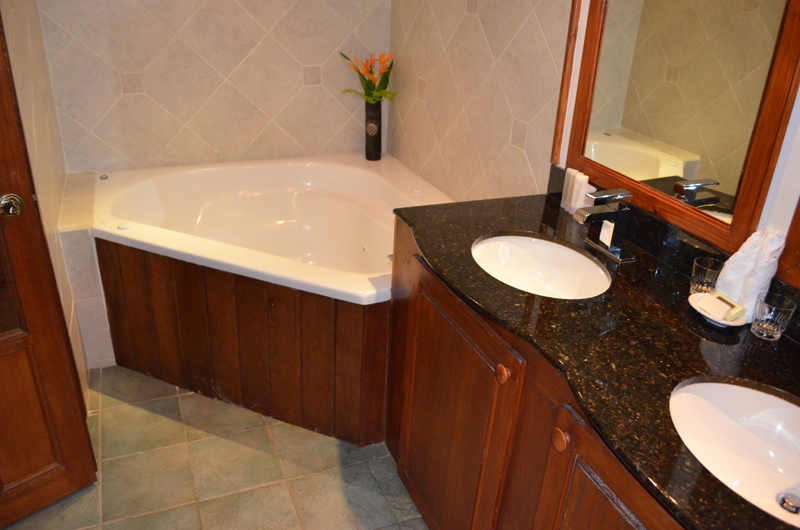 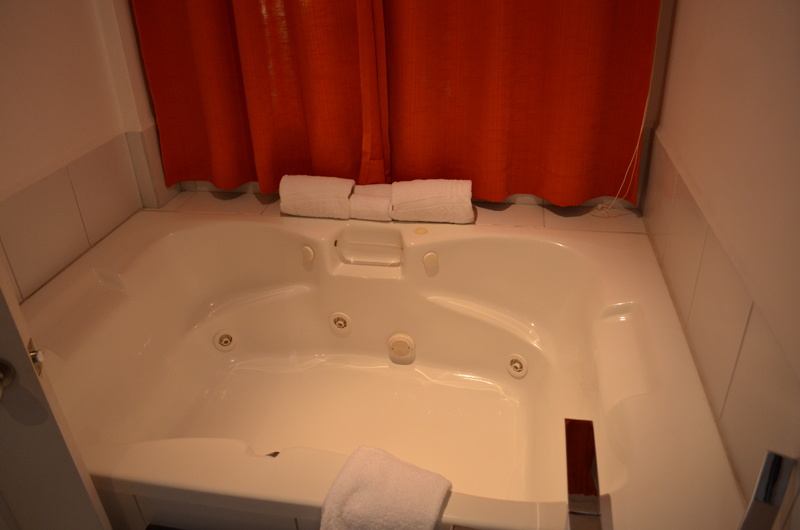 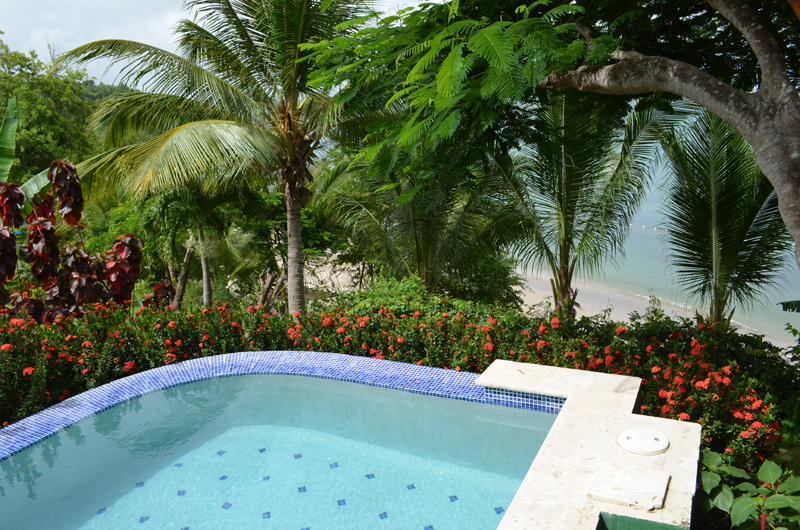 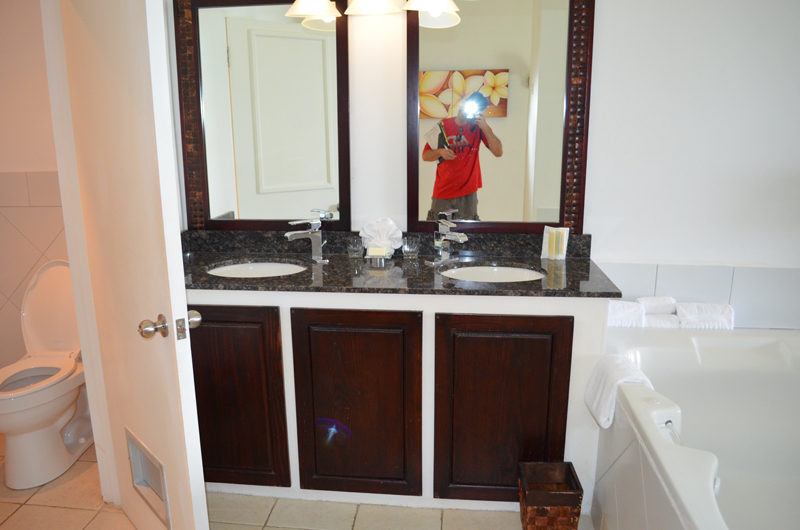 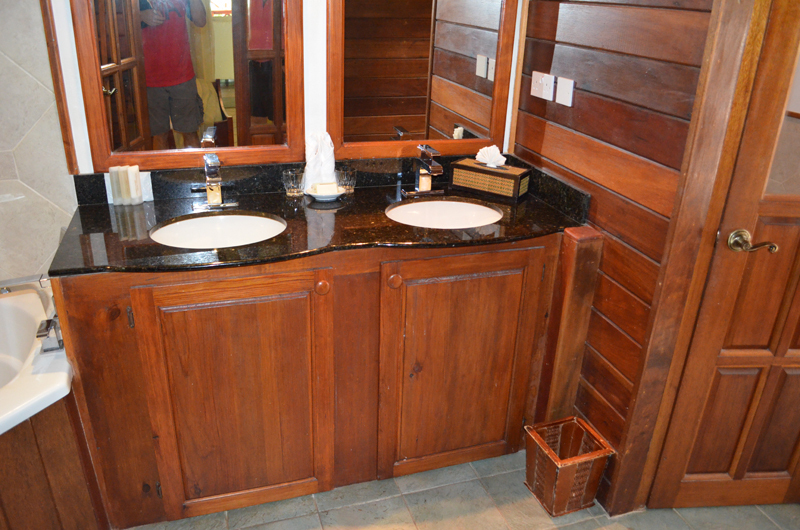 These accommodations range from 620-680 square feet with large Jacuzzi, double vanity, and lovely view. 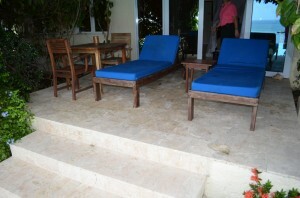 The Swim up Junior Suite (4 total) leads directly into the main pool with swim up pool bar. 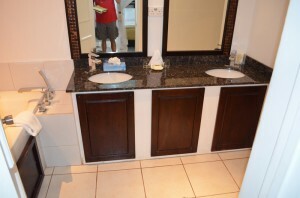 These accommodations are smaller (580-610 square feet) but offer large patios, double vanity, and large Jacuzzi. The highest room category is the Water’s Edge Cottages (9 total). 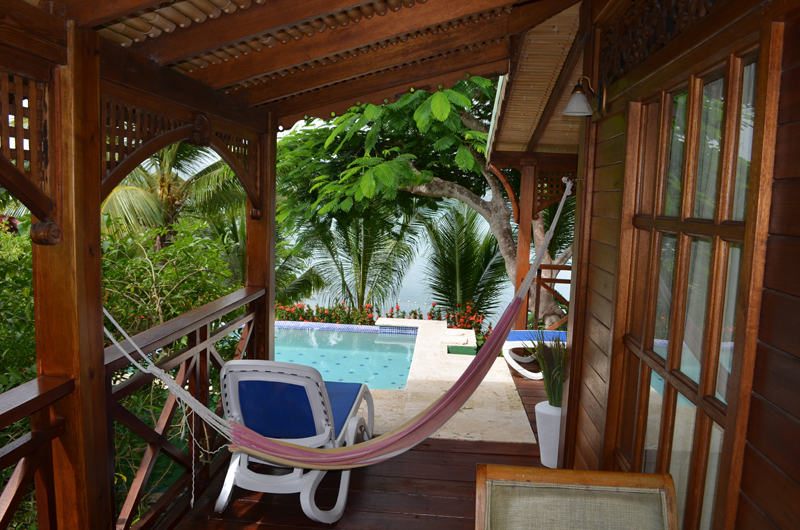 These free standing cottages are 1000+ square feet with large wrap around deck with hammock, beautiful view, 100 square feet plunge pool, large sitting area, king bed, double vanity, Jacuzzi tub, and outdoor shower. 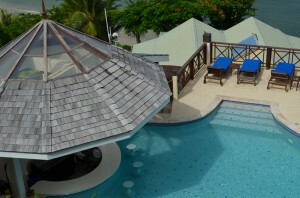 The cottages are the most popular and sell out first! 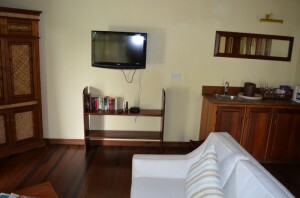 There is a five night minimum for the cottages. 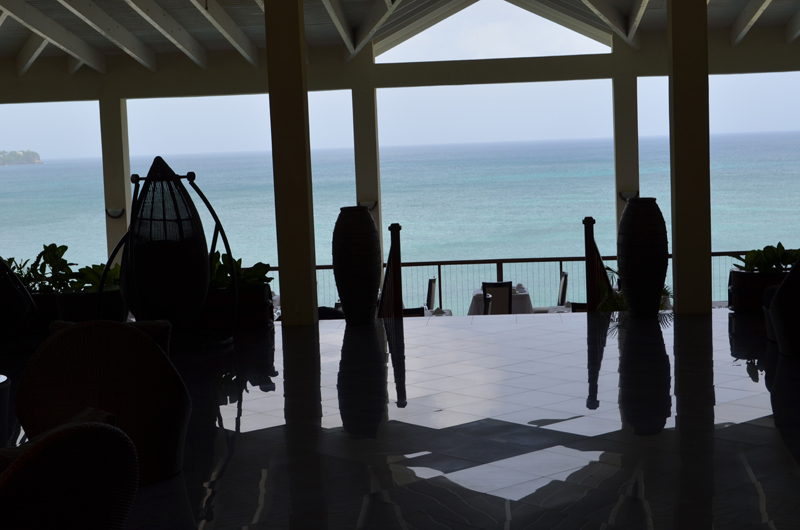 Overall, I loved this resort! This would not be a good choice for the mobility challenged as there are plenty of steps. The beach is nice, but as the name suggests, coved. There are some complimentary non-motorized water sports and the resort offers beach and pool waiter service.